Pepperoni, a favorite topping on pizzas, might be an excellent treat for you but not for your cat, leading to a host of health hazards when eaten in maximum amounts. Though a small bite of it should not harm your cat, it is still safe to keep it away from it. 100 grams of pepperoni contain 1,761 milligrams of sodium, while a medium-sized cat needs just need 21 milligrams of it on a daily basis. Hence, having excessive amounts of salt in their diet might lead to adverse effect, even sodium poisoning in extreme cases. 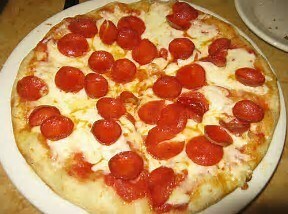 Moreover, pepperoni also contains spices and is high in calories, hence not being a healthy option for cats to have. If your feline witnesses any abnormal symptoms after having even a small bite of pepperoni, contact your veterinarian at the earliest. Published on January 12th 2018 by admin under . Article was last reviewed on 12th January 2018.